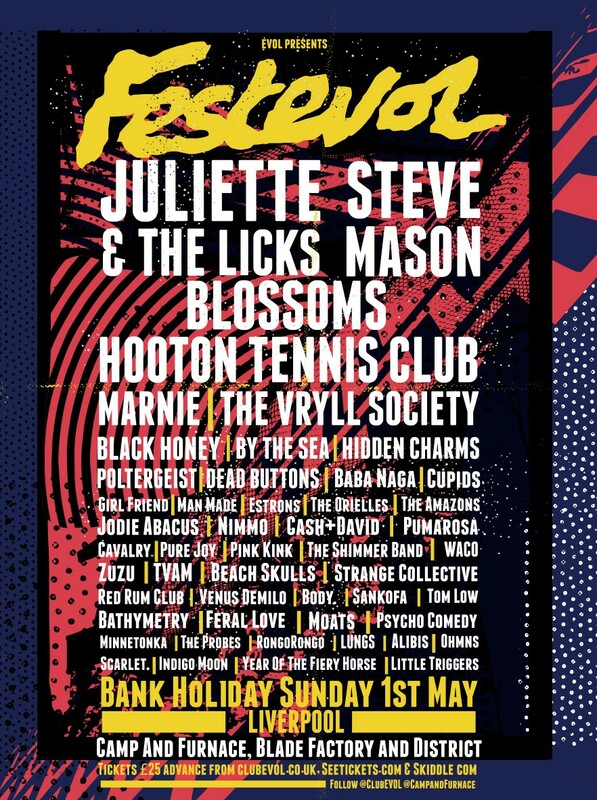 Merseyside music’s biggest and best one-day bash FestEVOL has revealed the stage times for this year’s Camp and Furnace spectacular, taking place on May 1, as well as a host of new names for this year’s already stellar bill. All the stage times, as well as a playlist of all this year’s acts can be found below, which features new names like Nimmo, Cash+David, and fast-rising neo-soul sensation Jodie Abacus, a long-term GIT favourite. 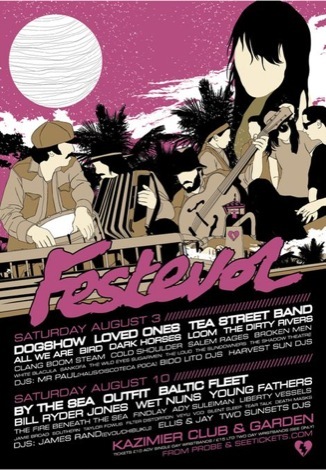 Merseyside music continues its strong showing among the new additions, with homegrown talent Beach Skulls, Moats and Venus Demilo all among the expanded roster. The full list of additions to the bill is as follows: Jodie Abacus, Nimmo, Cash+David, WACO, Zuzu, TVAM, Beach Skulls, Moats, Red Rum Club, Venus Demilo and Body. They join headliners Steve Mason and Juliette and the Licks on a bulging line-up which also features Stockport psych-sensations Blossoms, old school rock ‘n’ rollers Hidden Charms and an absurd array of Liverpool talent including Hooton Tennis Club, The Vryll Society, Strange Collective and more.